Toby says: “Simply the best plant in our 2014 trials! Large 5-5.5cm (2”) diameter flowers of deep velvet red on shoots that trail to over 60cm. No ‘dead heading’ necessary – new flowers are constantly formed. Blooms are ‘fade-proof’ in hot, sunny weather, and rain and Botrytis resistant too. All American and Fleuroselect Gold Medal Winner. Plant 30cm apart and the plant pushes up into ‘hedge-like’ mounds. Widen the plant spacing to 60cm and you create the ‘ground cover’ petunia. Or plant 3 plants in a triangle in a 40-60cm diameter container for massive trails of colour!” Flowers June-September. Height 21-30cm. HHA - Half hardy annual. Sow in a propagator on a windowsill or in a pot/tray in a greenhouse at approximately 15-20ºC (60-80ºF) pressing the coated seed lightly onto a good quality, finely sieved, moist compost. Do not exclude light or allow to dry out (germination 10-21 days). Transplant seedlings 5cm (2") apart into trays or pots and grow on. Acclimatise gradually before planting out 23-30cm (9-12") apart in hanging baskets or tubs in a sunny position when all danger of frost has passed. 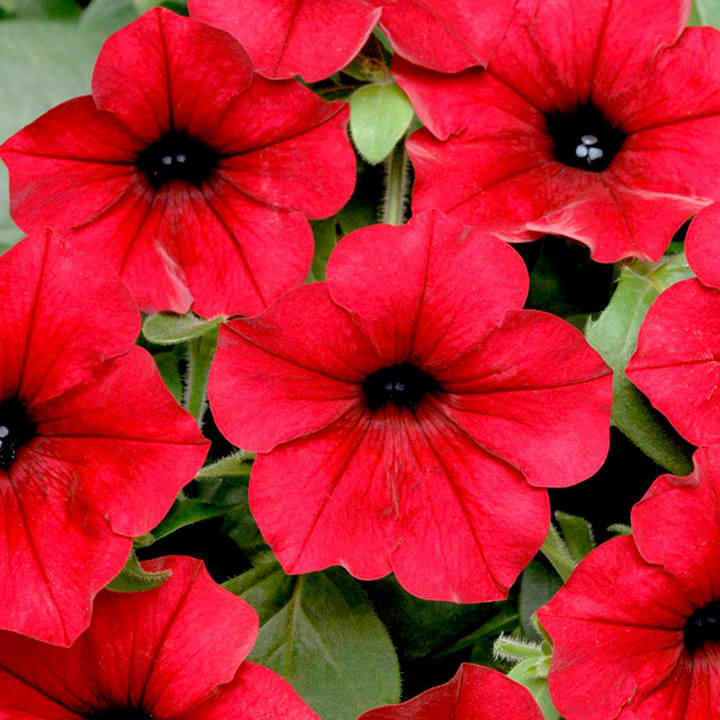 Ideal for beds and borders, patio pots and containers, hanging baskets, greenhouse. Prefers full sun. Use tomato feed to enhance blooms throughout summer.